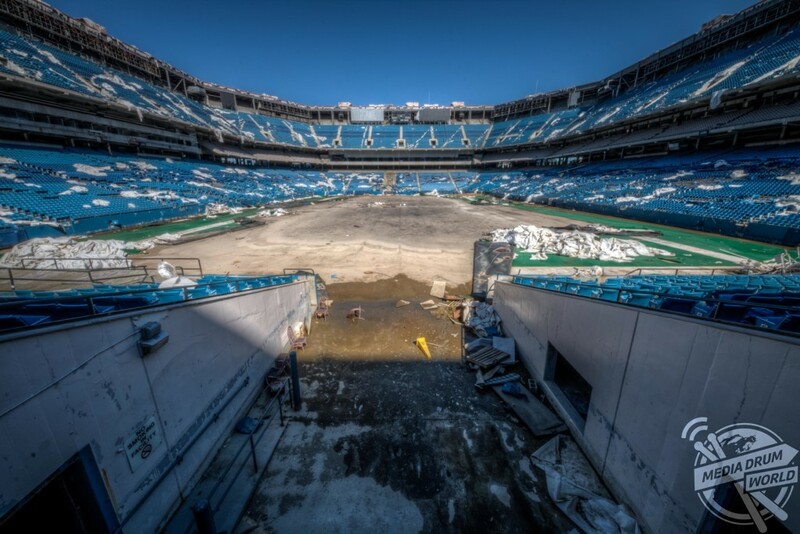 HAUNTING pictures have revealed the crumbling remains of an 82,000 seat American football stadium that saw its last touchdown long ago. 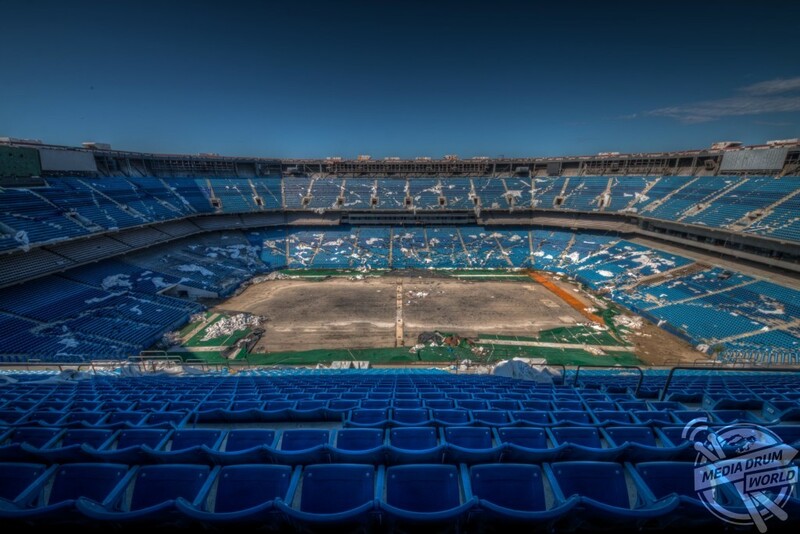 The eerie images show the rows of thousands of blue plastic seats which now lie empty in view of the scorched square of earth where the lush green pitch once was. 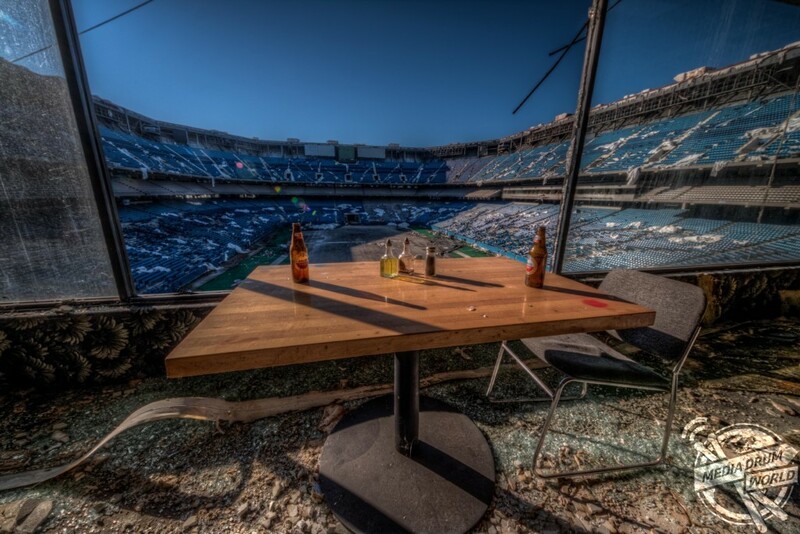 Other shots of the former Detroit Lions stadium show rubble-strewn remnants of the VIP boxes and forgotten beer bottles and condiments left sitting on a table. 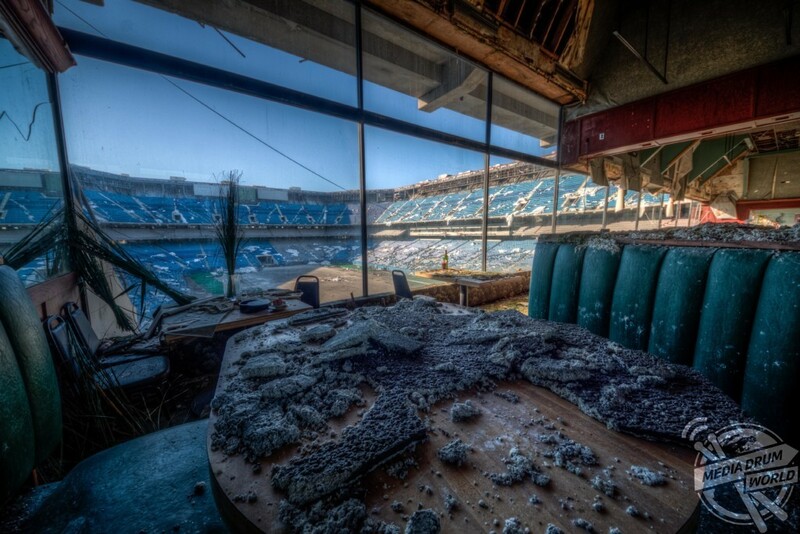 The creepy snaps were taken at the Pontiac Silverdome in Pontiac, Michigan by American photographer Jeff Hagerman (36) from Atlanta, Georgia. 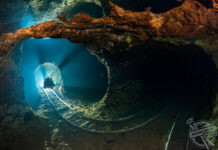 “I had obviously known about the famous location, but after pictures started popping up of the imploded dome, we decided to take a trip to see it,” he said. 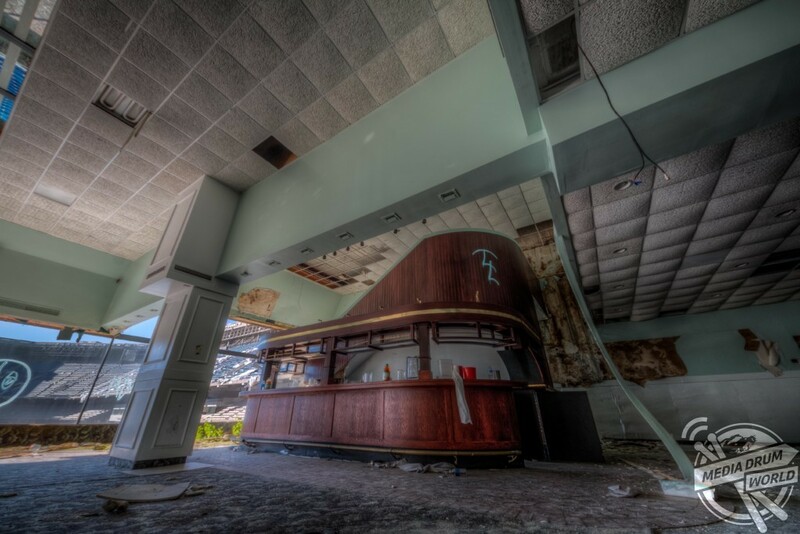 “It has been abandoned since 2013. Aside from the Detroit Lions (and Barry Sanders) playing there, there were many events held there, including Superbowl XVI in 1982. 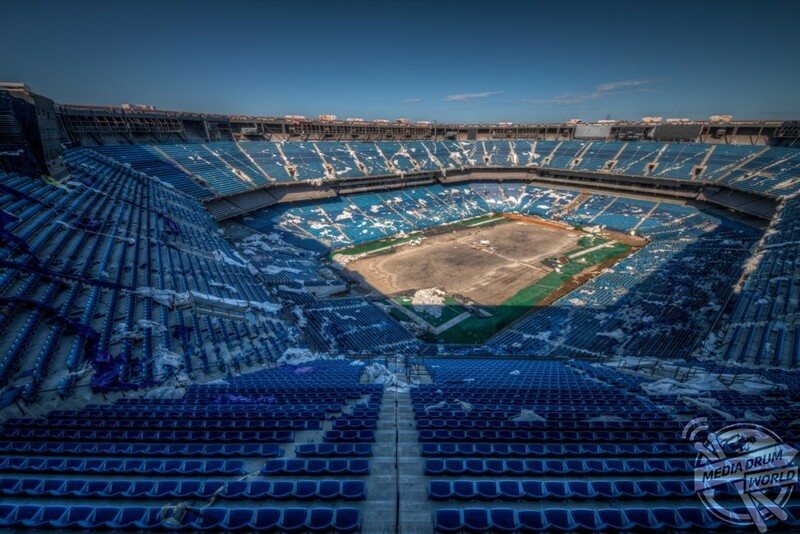 The Pontiac Silverdome opened in 1975 and was primarily the home of NFL side the Detroit Lions until 2001 when they moved to a new stadium, Ford Field. This left the stadium without a permanent tenant and it first closed in 2006. The city sold the stadium at auction in 2009. 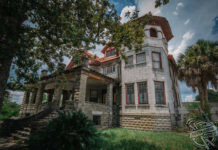 It reopened in 2010 and hosted several events, but was closed again by 2013. The roof was deflated in 2013 and has since been removed. 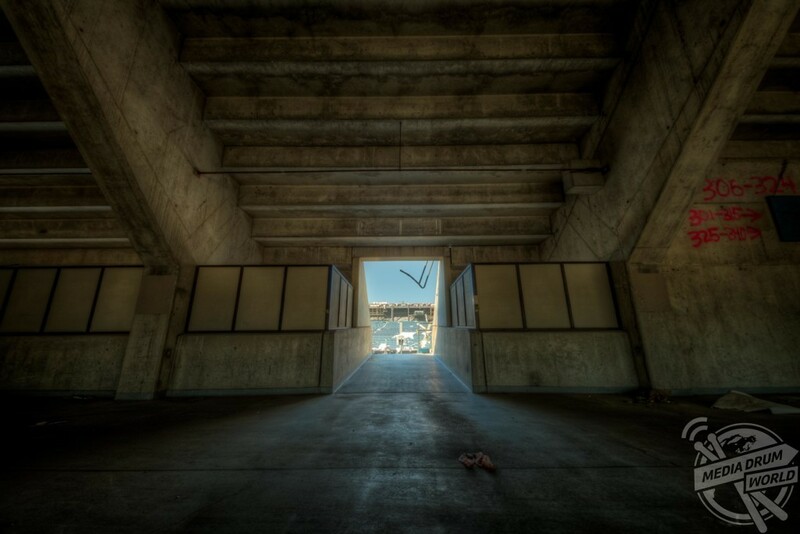 The owners auctioned the stadium’s contents in 2014 with no future development through June 2015, and plans for demolition failed after February of 2016. 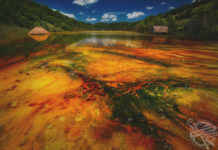 “I just wanted to capture the place before it gets destroyed like everything else here,” said Jeff. 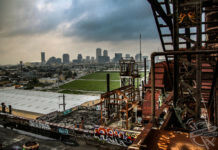 The stadium was also once home to NBA side the Detroit Pistons from 1978 to 1988 and has hosted some other notable events including the 1979 NBA All-Star Game, early rounds of the 1994 FIFA World Cup and Wrestlemania III.